The meeting between President Peter Mutharika and Vice-President Saulos Chilima at Sanjika Palace on Monday has dominated Malawi media after details have emerged that Chilima has refused to discuss the widening rift within the Democratic Progressive Party (DPP) with a presidential delegation of three Cabinet ministers. The Nation, under the headline “Why Chilima, APM met’ with subheadlines ‘VP rebuffed presidential delegation’ and ‘3 Cabinet ministers requested for meeting’’ reported on the three Cabinet ministers – Goodall Gondwe (Finance, Economic Planning and Development), Samuel Tembenu (Justice and Constitutional Affairs) and Bright Msaka (Education, Science and Technology) – were delegated by the President Mutharika to persuade Chilima to dismiss the so-called Chilima Movement drumming up support for his presidential bid in May 2019 elections. Malawi’s flagship Daily Times also reports on the same angle with a headline, ‘APM, Chilima meet’. The press quoting sources, said the delegation which met Chilima last week Tuesday at his official residence in Lilongwe’s Area 12 reported back to Mutharika that the Vice-President refused to act on any of the issues they put on the table. The presidential delegation reportedly guaranteed Chilima that he will be Mutharika’s Runningmate on DPP tickets in 2019 as it were in 2014. But Chilima is said to have asked the three ministers to arrange a meeting between him and the President to map the way forward. Privately-owned Zodiak Broadcasting Corporation also has been running the story also quoting government insiders about the meeting. Presidential spokesman Mgeme Kalilani also said the VP has been visiting State House “every time he wants to see the President”, therefore there was nothing peculiar about the Monday meeting to discuss government business. Nyasa Times reported first about the Presidency meeting on Tuesday quoting highly-placed sources that the VP was not “summoned” but he requested to meet the Head of State on his own accord. “He asked for an audience with President Mutharika. The President accepted to meet him and they met behind closed doors for two hours from two o’clock in the afternoon. No one knows what they discussed because they were only the two of them in that meeting,” said a State House source. Two camps have emerged in the Democratic Progressive Party (DPP) with one rooting for the 79-year-old President, while another is saying current Vice-President Chilima, 45 should take over. 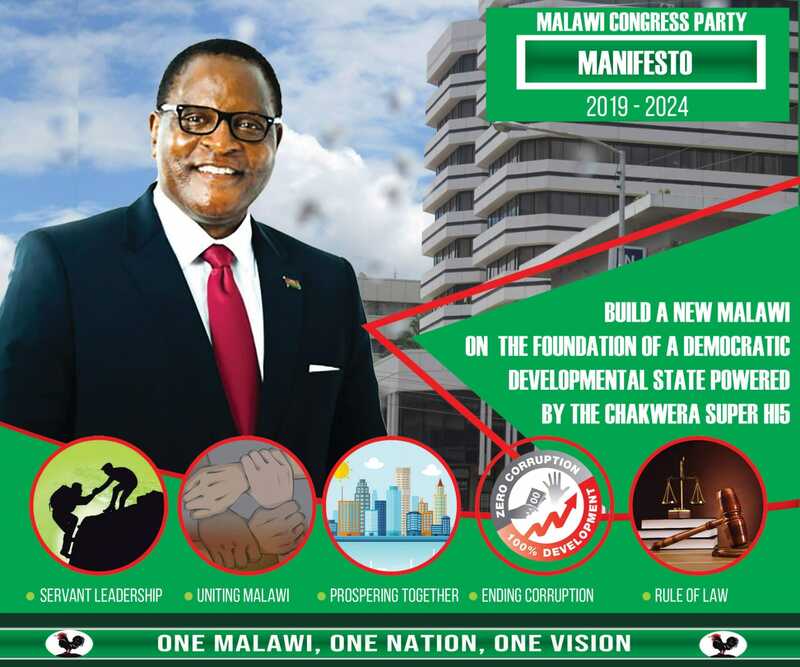 Mutharika is eligible for a second and mandatory final five year term up to 2024 as per the Malawi constitution.bJe has declared he will be DPP torchbearer in the polls while Chilima has not committed himself on the calls for him to run for the presidency. Catholic bishops, in their latest pastoral latter titled ‘A call for a new era’, appealed to political parties to embrace intra-party democracy. Actually APM & Chilima are all thieves, Chakwera will carry the day in 2019 elections. Ubanda , why asking him not to go ahead with his ambitions of competing with APM if DPP is not afraid with Chilima , pali bii pali munga ? Anthu awiriwa akudziwana. Chilipo chimenea anapangana promise. Chilima shold face reality – he can’t make it outside DPP. Let him try, he will be toast. That’s true, the party he will form as well as DPP will loose miserably as they will divide their votes & MCP shall carry the day with a landslide victory. Remember Mpinganjira formed NDA which lost dispite hapving city support. Chilima has city support but unfortunately he doesn’t have rural support where most voters are. At the end both Chilima & Munthalika sides have personal interests if they form the next government, it’s all about selfish gains!